Among all kind of vehicles, motorbike is without any doubt, the most dangerous for its pilot. This is why the importance of the tyres mounted gets bigger, as they can even be the key to save a life. 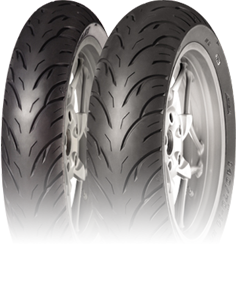 That is the reason for the manufacturers to have specific departments for developing the most secure motorcycle tyres. Its construction is fundamental to get the best grip on curves, either on dry and wet surfaces, and to guarantee the stability and comfort for the rider. The bi-compound technology developed by some manufacturers has represented a significant step forward on motorcycling security. This sector has also importance inside cities, with the lighter but not least scooters, with a vast number of sizes and references for them, or also the cross, trial and enduro motorbikes, who have a lot of lovers. And finally, remark the trail range, which has increased the number of consumers on the last years. 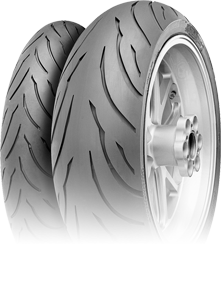 We have a vast stock of motorcycle tyres, ready to be sent to almost every corner of Europe in record delivery time. 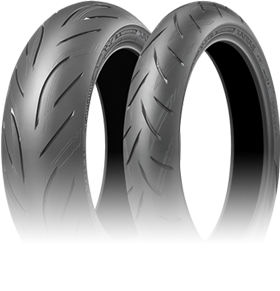 Top manufacturers like Michelin, Bridgestone, Pirelli, Metzeler, Continental or Dunlop produce these tyres that we, Andres Group distributes always giving our best for your business. 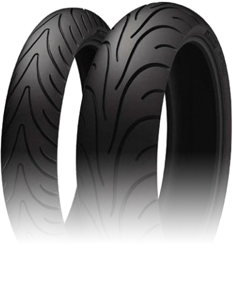 We have in exclusive the brand Anlas for Spain, being the first manufacturer that produces high quality Trail and Scooter tyres. They even set up OE tyres. The innovation made reachable for every rider. Innovation is the engine of Michelin. One of its main goals is to speed up the application of new innovative technologies to the market, and so, to solve quickly final customer needs. Wherever your destiny is, we have the perfect tire for you. Bridgestone offers innovative high quality tires at very competitive prices. Its innovative solutions, with presence in their motorcycle tires, make every ride a passion. A tire that you can rely on. Its range offers trail, scooter and maxi-scooter riders all the sizes that they need according market trends. Their quality is guaranteed by manufacturers like BMW, Triumph or KTM.